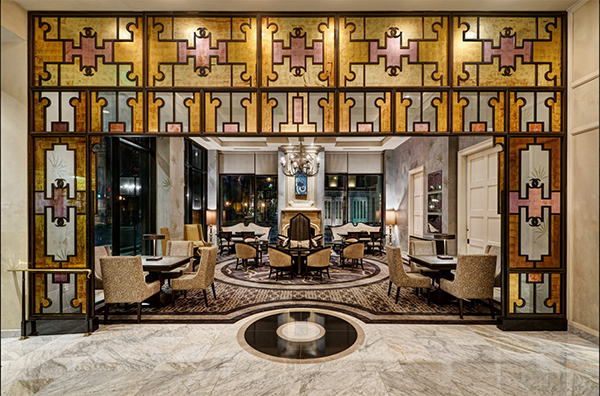 If you call the Loews New Orleans to make reservations, please remember to mention the AAAL identification code: AAL411 to obtain the group rate. If you choose to book online, please book directly through the hotel to ensure your room is included in the AAAL room block. Please do not book through a third-party site (e.g., Expedia, Kayak). Hotel reservations are on a first-come, first-served basis until Sunday, March 11, 2018, or until the block has sold out. AAAL cannot guarantee the group rate if rooms are still available in the AAAL block after March 11, 2018. Louis Armstrong New Orleans International Airport is 15.4 miles (25 minutes) to the Loews New Orleans Hotel. has partnered with AAAL and is offering discounted airfare to all attendees. When booking online at www.united.com, use Offer Code ZEBW112006. $36 each way to the Loews New Orleans Hotel for up to two passengers. For three or more passengers, the fare will be $15 per passenger. $33–$35 each way. You can find detailed instructions for using Uber here. Shuttle service is available from the airport to the Loews New Orleans Hotel for $24.00 per person, one-way or $44.00 per person, round-trip. These fares include up to three bags per person. Excess baggage may be subject to additional fees. You can book your reservation ahead of time online, or you can purchase tickets at the airport at Airport Shuttle ticket booths located on the first level throughout the Baggage Claim area. The temperature in New Orleans during April averages in the high 70s during the day and low 60s at night. The French Quarter Festival will be taking place April 12–15, 2018. Enjoy	over 300 hours of entertainment featuring more than 400 musical performances on 23 stages throughout the French Quarter. For more information on the festival, please visit the website.